The British Council was the first CELTA centre in Egypt and has been running courses since 2008 with dedicated, experienced trainers. It offers excellent facilities for trainees, including a dedicated training room with computers and resources, a garden cafe, and has the benefit of running in a busy teaching centre so candidates can observe a range of class types taught by experienced British Council teachers. The Agouza Teaching centre is conveniently located in a central location in Cairo. 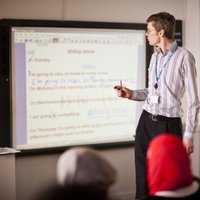 The British Council Egypt runs a Teacher Support Programme for newly qualified teachers and frequently hires people who have done the CELTA course here. 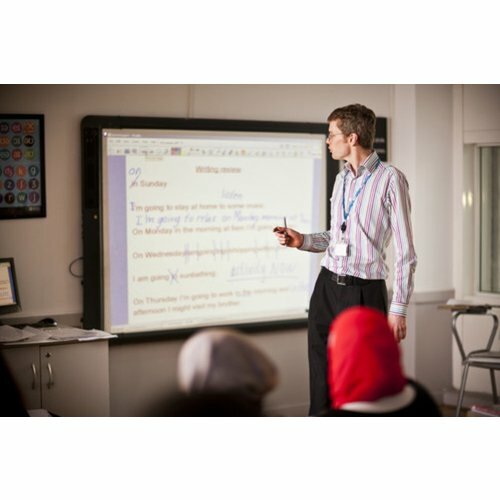 For more information check Opportunities for Newly Qualified Teachers on the website. There is also a session during the course offering advice for applying for other work following the course. While we do not have our own accommodation for candidates, we are sometimes able to offer a sublet room with one of our teachers. IH Cairo also offers shared flats at a monthly rate and some CELTA candidates find accommodation through Airbnb or other websites. The cost of living is relatively cheap in Egypt. Course fees include 135 GBP Cambridge entry fees. Following acceptance, a deposit of LE 8,000 is required. Full fees must be paid at least ten working days before the course begins. In case of withdrawal before the course starts, deposit is non refundable. In case of withdraw at any time during the CELTA course, the course fees will not be refunded, however postponing and applying for another course is possible in some cases. Located on the banks of the Nile River, Cairo is Africa's largest city, as well as the largest city in the Arab world. In the course of its thousand-year history it has been the capital of the great Egyptian dynasties of the Middle Ages. Modern Cairo is a busy, chaotic city with plenty to discover whether your interest is in archaeology or street food or Nile cruises. In order to provide you with the best service possible, British Council, Cairo needs to know a little about your specific situation. If you have questions, please first select a course from the list on the this page. You can always change course dates later. It is worthy. It was more than a course. It was a lifetime change. This was an unforgettable and very valuable experience! The course is well-structured. The tutors are the best ever. It was an unforgetable experience for me. I would recommend Britsh Council Agouza to any colleague willing to take his CELTA in Egypt. The CELTA intensive course was quite a challenge in terms of the amount of time and effort that went inti lesson preparation and assignments. It didn’t allow any time to read and digest what was taught that day which in return resulted in somewhat “poorly” written lesson plans in my case. However, the amount of guidance and feedback we received from both Nick and Doaa helped all of us to improve on the delivery of our lessons making each TP a little better than the previous one. One has to truly commit to the amount of hard work the course requires as it doesn’t allow any time for a personal life throughout the duration of the course. It was a challenge for me. I’m glad that I put in the effort and have learnt so much from the trainers which is going to help me help the students under my care. I passed the course, which is great. Oh, and lost two kilos as it didn’t allow much time for meals either. Great again! My experience on the course was an awesome experience. It was very challenging which allowed me to grow and develop in ways I couldn't imagine. The tutors were great, very helpful, and friendly. My colleagues in my group were awesome I found that we had a lot in common which I believe allowed everyone to get along well. The Celta course was an once of a life time experience and I look forward to the same kind of experience on the Delta course. It was a fulfilling, educational and an overwhelmingly beneficial experience. The tutors were extremely helpful and supportive throughout the course. The input sessions were very useful and interesting. The course is challenging but definitely manageable; although I’d recommend adding one more week to give more time for assignments and lesson planning. A thoroughly rewarding course, with excellent tuition and support. It was a bit stressful, however I acquired a lot of experience through it. Nick is the best CELTA tutor.